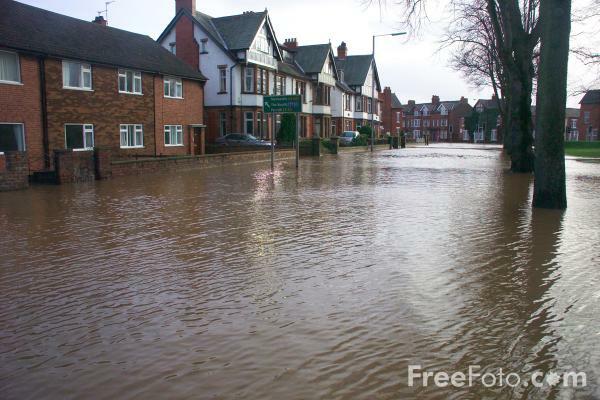 Picture of Victoria Place, Carlisle, which was completely cut off by flood waters on the 9th January 2005 after a month's rain fell in 24 hours. Heavy rains flooded homes and severe gales cut off power to thousands of homes. RAF helicopters were drafted in to help rescue people as Carlisle battled against its worst ever floods. These pictures tell the story of a devastated city which will cost millions of pounds to repair.